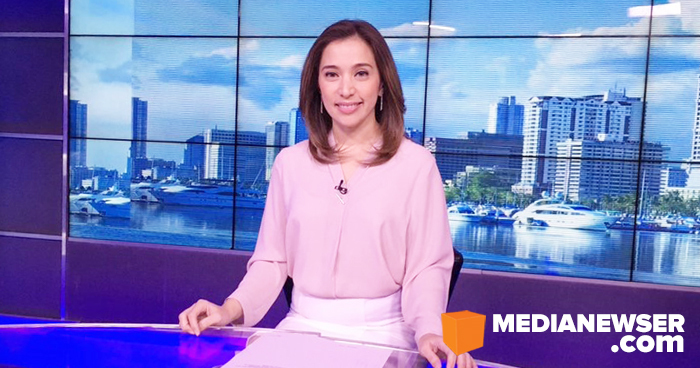 First on MNP: Claire Celdran, one of the lead anchors of CNN Philippines, is leaving the network, Media Newser Philippines has learned. Sources with knowledge of the situation tell us that Celdran will be stepping down from her anchor posts at both New Day and Newsroom to take a break and spend more time with her family. A successor to her has already been selected according to our sources, but CNN Philippines is not expected to make an announcement about it very soon as Celdran will still be anchoring her programs until the end of this month. Celdran joined the local CNN station in June of 2015 as co-anchor of its now-defunct morning news program, Headline News, alongside the late Amelyn Veloso and Claudine Trillo. She would later be reassigned to the midday and afternoon shifts — anchoring Newsroom and Global Newsroom — when the network had its reorganization following the arrival of CNN veteran Armie Jarin-Bennett as channel head. Since March of 2017, Celdran has been the co-anchor of New Day and the solo anchor of the 8 o'clock edition of Newsroom. Talking about her return to morning TV, she told us last year that "adjustments had to be made within the company and as a team player, I made myself open to going back to the morning schedule." A young industry veteran, Celdran rejoined the local news business in 2012 as one of the pillars and pioneers of the now-defunct Solar News. At the Sunny Network, she anchored Solar Daybreak and participated in many of its major news coverages, including the 2013 midterms elections and the impeachment trial of the late Chief Justice Renato Corona. Before returning to the country, she worked in the U.S. for over a decade as a casting producer for some American television productions — such as Queer Eye for the Straight Guy, The Bachelor, Elimidate and Cash Cab — and later as anchor and correspondent for the New Jersey-based TV station Ebru TV. Previously, Celdran worked alongside legendary journalists, such Tina Monzon-Palma and the late Angelo Castro Jr., at the Sarimanok News Network — now known, of course, as the ABS-CBN News Channel.